We achieved the following YoY results executing a multi-channel strategy for City2Surf. 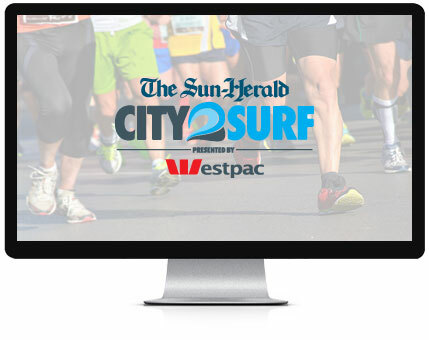 Growing City2Surf participation by 217% YoY by executing tactical creative messaging throughout key campaign phases and delivering fresh content to target strategic audiences using Fairfax Media's first-party data. The Sun-Herald City2Surf is the world's largest annual fun run, bringing together over 80,000 people from all walks of life to run, jog, walk or stroll the famous 14km course from Sydney's CBD to Bondi Beach. Although not just a fun run, City2Surf is involved in raising millions of dollars for over 900 charities throughout Australia to help those in need, with over $36 million raised since 2008. Fairfax Media approached Pais Media to formulate a complete digital strategy to grow event participation for the World's largest fun run. With little digital investment allocated in previous years, the key objectives were to drive event entry growth whilst reducing cost-per-click (CPC) and cost-per-acquisition (CPA) across all media buying channels. Thorough research into the City2Surf event was initiated to discover exactly why people participated and their motivation to enter the World's largest fun run. We than began to plan and formulate digital channel selection to not only achieve performance KPI's, but to be able to target key audience segments aligned to City2Surf entrant demographics. Once key performance channels and audience mapping had been deployed, we developed a tactical creative schedule to target key promotional phases - early bird, price break, end of campaign, and key running group audiences to hit event participation fulfillment KPI's. All creatives were updated on a weekly basis to target City2Surf's core audiences, with creatives updated everyday throughout key promotional periods with countdown to drive urgency and event entries. Core channels that delivered incredible results for City2Surf included Paid Search, Facebook, Retargeting and Programmatic display.